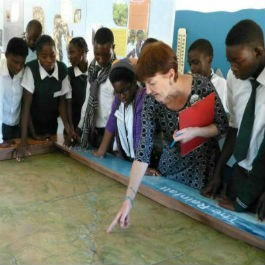 Chipembele Wildlife Education Trust, in eastern Zambia, focuses on ‘giving children hope and wildlife a chance’. Established by husband and wife team Anna and Steve Tolan in 1998, the trust teaches Zambian children the value of wildlife and their environment. Since founding Chipembele, Anna and Steve’s lives have been very different from their time as police officers in Oxford, UK, with Thames Valley Police. 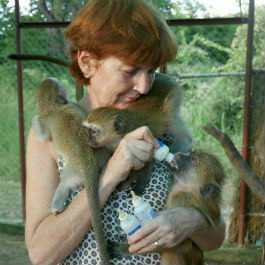 With this inspiration and energy, and her deep-rooted love of Africa, Anna has set up pupil sponsorship schemes for orphaned or vulnerable children, managed a large number of school improvement schemes, established a highly-successful conservation education outreach programme at 17 local schools, as well as numerous community environmental campaigns, tree planting schemes and field excursions. 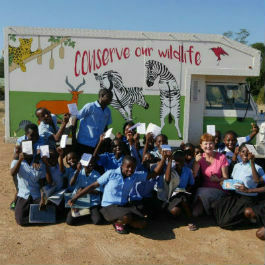 Education, Anna believes, is crucial for the future of wildlife in Africa. “We are never going to stop or even halt population growth or development in Zambia in the next 20 years, so my realistic vision is for people and wildlife to live together in harmony,” she says.